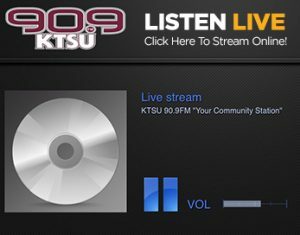 KTSU 90.9 FM, is an integral part of Texas Southern University. The station is Houston’s first African-American FM radio station and has the distinction of having the largest African-American audience of any public radio station in the United States. 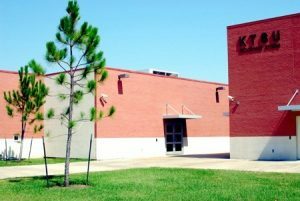 KTSU’s FCC license is held by TSU’s Board of Regents and first began broadcasting in June 1973 as a 10-watt campus-based radio station. The purpose: “Educate students wishing to pursue careers in communications, broadcast journalism and to preserve jazz as America’s most original art form.” KTSU has been a public radio staple for almost 50 years and has since increased its signal to 18,500-watts. From beginning to now, it remains one of TSU’s shining jewels and has helped launch the careers of media professionals as well as those of numerous musicians. Recording artists located in Houston, including Yolanda Adams, Everette Harp, Kirk Whalum, Kathy Taylor, Eric Harland, Kendrick Scott, Jason Moran and others’ careers crossing a variety of musical genres have been accelerated because their songs were first highlighted on KTSU. Inclusively, the radio station has a loyal cadre of listeners who rely on KTSU for news, information, public affairs and the very best in music that focuses on several different styles, including jazz. Many milestones have been reached by KTSU throughout its history as well. During Black History Month, yet another achievement is ready for launch on the campus of Texas Southern University. After almost 50 years of broadcasting, the University and the School of Communication are proud to announce the launching of “KTSU2” a student-run radio station. The vision of “KTSU2 – The Voice” as it will be known is an opportunity providing greater hands-on experience and opportunities for students in the ever-evolving media landscape. The initial format will serve as a live streaming station connecting student audiences wherever they are, whether online or mobile. The goal is all about communicating in a manner conducive to student learning, young alumni and the public-at-large, which also includes prospective students. Firmly embedded in “KTSU2 ─ The Voice” is TSU’s School of Communication, which serves as a way-station directing a pathway to successful entry into the field of broadcast journalism. The talents of Serbino Sandifer-Walker, professor and interim assistant dean and those of Professor Val Wilson in the School of Communication are slated to play a vital role in helping students negotiate this new platform. In addition, the staff and management of KTSU led by the general manager Ernest Walker also have pivotal roles in making “KTSU2 – The Voice” a reality.